The script submission service is currently on hold. 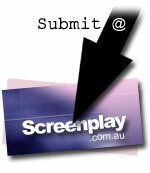 If you are interested in having your screenplay evaluated/asssessed, please contact us to discuss availability. If you would like Embryo Films to consider your project, please visit the Submissions page on the Embryo Films website. Please note that projects submitted to Embryo Films are not included in the Screenplay Development Centre SNS program.